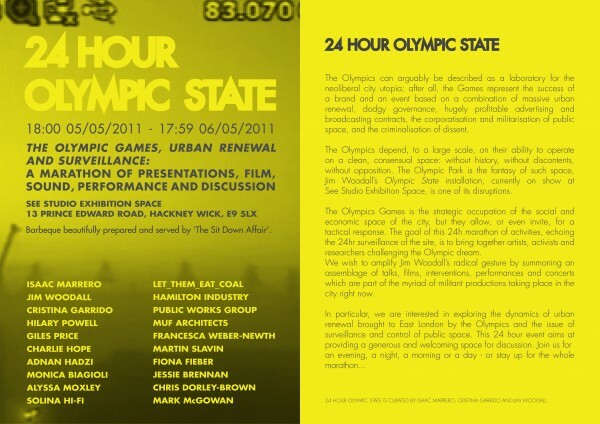 public works will presenting at Jim Woddalls '24 Hour Olympic State'. We will be on from 10-1pm on Friday morning on the 6th of May sharing a slot with Katherine Clarke from muf. If you need a snack beforehand join the marathon for a 9am breakfast.